There aren't many bands that have weathered as well as Squeeze. They've notched up 17 studio albums and over 20 hit singles and were on the road for 25 years, retired and then reformed last year to do it all again. Formed in 1974, the band comfortably straddled Punk and New Wave, finding mainstream success in the 80s. The songwriting partnership of Chris Difford and Glenn Tilbrook was one of the most fruitful in UK pop history, they wrote over 1000 songs together and were considered the finest songwriters of their generation, the Lennon and McCartney of the 80s. This double CD features the complete BBC Sessions. 17 years of BBC studio recordings have thrown up some classic moments; acoustic versions of some of their biggest hits and live to air recordings, giggles and all. "We always work best when we keep things simple", said Chris Difford in 1993, "we know that in the end, it really does come down to the singer and the song". This 2CD of sessions recorded in the under-the-gun atmosphere of the BBC studios, is a fine example of just that. 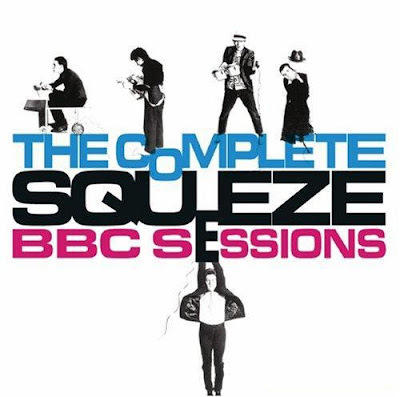 You are viewing "Squeeze - The Complete Squeeze BBC Sessions (2CD) (2008)"